(click image for large view) The Samaritan Ambulance hull is similar to the Spartan but has an additional 12 inches in roof height. The driver and vehicle commanders positions are layed out similar to the Spartan and Striker. The rear compartment has room enough for four passengers. This can be nearly any combination of sitting and stretcher. In a combat role one of the sitting positions is normally taken up by a medic. 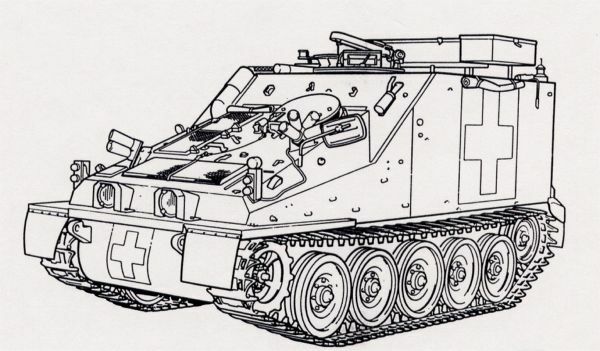 Due to the nature of the vehicles mission there are only smoke dischargers mounted for armament.